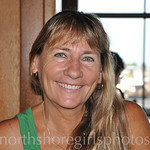 Aloha and Welcome to Northshoregirlsphotos. I have been a photographer all my life, shooting professionally for 25 years. My favorite is surfing and paddling sports. I also enjoy capturing the beauty of nature and landscapes. I live on Kauai's north shore in Hawaii. All of the pictures you see in my galleries are for sale in print form or as licensed images.